Meanwhile, I have written several posts about the planned cuts to the American Community Survey, which include the questions necessary to conduct this analysis: marital events (did you get divorced in the last year) and marital history (how many times have you been married, and when was the last time). Direct all written comments to Jennifer Jessup, Departmental Paperwork Clearance Officer, Department of Commerce, Room 6616, 14th and Constitution Avenue NW., Washington, DC 20230 (or via the Internet at jjessup@doc.gov). Comments will be accepted until December 30, 2014.
really nice animation! Not that your own presentation isn’t great but still…. Nice animation. But, of course, I am quite sure that sooner or later someone will find out that large part of variation in divorce ration is explained by genetic factors, as for almost every other trait people cared to check. 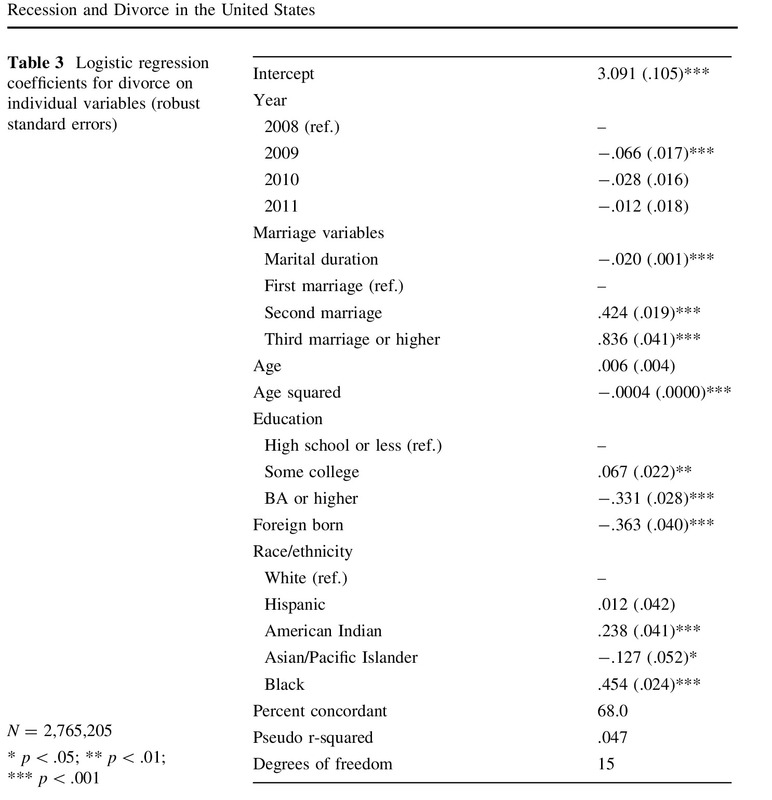 I predict the heritability will be higher at more educated, more affluent people, and lower as poorer people, especially in immigrants.